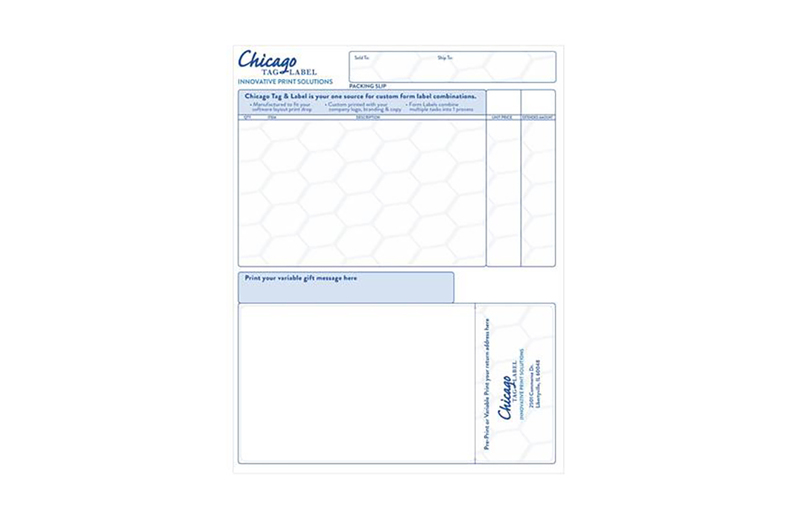 Simply put, an integrated form combines a laser sheet and adhesive labels. Adhesive is applied to the part of the paper where the label is printed; the non-adhesive portion is reserved for printing the packing list. This form permits a company to combine its packing and shipping into a single, streamlined process. Printing both the packing list and shipping label at once eliminates two distinct processes, increasing productivity. After the form is printed, just peel off the shipping label and attach it to the box, and put the packing list inside. 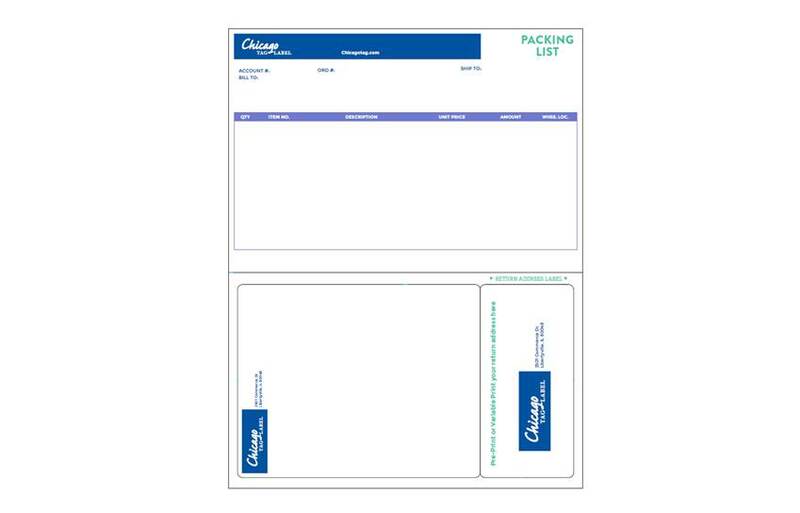 When you need integrated form labels, look no further than Chicago Tag & Label. We have seven decades of experience and a track record of excellence in the manufacturing of custom form label combinations. Customers in a wide range of industries benefit from an efficient, more precise labeling process as well as our fast delivery times, great customer service and competitive pricing. We manufacture our forms to fit your unique software layout print drop, company copy and branding. We can preprint the core information, logos and return information that you need on the front and back of your forms so that it matches your print layout and corporate branding. Then, all that’s left for you to do is add your customers’ variable data when you process their orders, making for a faster, easier process overall! 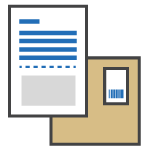 Integrated label forms are designed to consolidate multiple tasks, streamlining your printing process and improving accuracy.